As a way to bolster software offerings on Mac, Apple is reportedly planning to blur the lines between its macOS and iOS platforms, allowing iPhone and iPad apps from the hugely successful iOS App Store to run on a Mac. The massive change will come as early as next year, according to Bloomberg, which cited continued struggles to get software makers to embrace the Mac App Store. With the expected upcoming changes, developers will be able to create a single application that can work with either a touchscreen, a mouse, or a trackpad. The hope, according to author Mark Gurman, is that applications on the Mac will be updated more frequently and be of higher quality than their current state. The report cited the official Twitter app, which is regularly updated for iPhone and iPad, but less frequently so for Mac. The blurring of lines between macOS and iOS will reportedly occur with next year's major software updates. If Apple sticks to its usual release pattern, then iOS 12 and macOS 10.14 would be announced at the Worldwide Developers Conference in June, before launching to the public in September. According to Gurman, the project is code-named "Marzipan." The report noted that Apple's Mac hardware could one day run custom A-series chips, much like the iPhone and iPad. But it would appear that plans to allow iOS apps on the Mac will work with existing Mac hardware, powered by Intel processors. 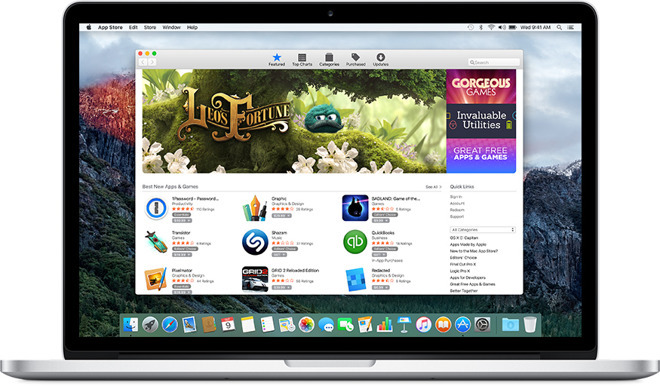 Like the iOS App Store, Apple takes a 30 percent cut of all apps sold on the Mac App Store. 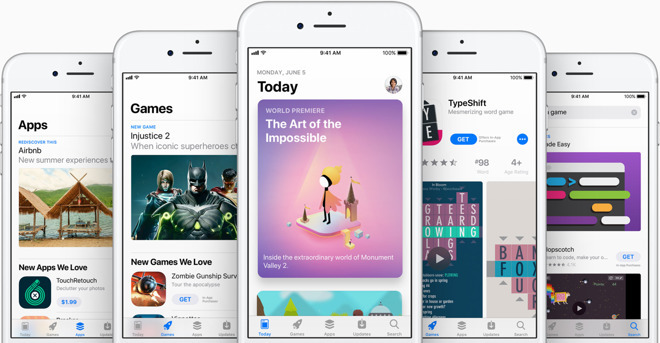 But unlike on iOS, Apple still allows users to install non-App Store content, leaving many developers sticking to selling to customers directly.